Oil and gas exploration is expensive, with the location of the drill site driving a considerable portion of the cost. For example, the cost of a typical shallow shelf oil well runs between 10 – 30 million USD, but a deep water well can cost more than $ 100 million USD before producing a single drop of crude. Given such costs and the fact that the price of crude has been bumping along at less than $50 a barrel, many shale oil drillers are being challenged to reduce exploration budgets. Fortunately, thanks to a number of recent technological breakthroughs, there are new ways to reduce the cost of exploration. Any savings in this area falls directly to the bottom line regardless of what happens to the price of oil. Two emerging cost cutting technologies that should be examined more closely in the context of oil & gas exploration include edge computing and drones. Both are core technologies that are contributing to the accelerating Internet of Things (IoT) trend, which promises to make many tasks and projects easier to manage and less expensive to implement. IoT allows “things” or devices used in exploration to gather data and to forward it to the cloud where the data can be rapidly analyzed and assessed from a central location. This big data requires faster processing if decisions are to result in operational time and cost savings. Edge computing was created to address this processing need. As the name implies, it places computer processing power at the edge of the physical and communication network. For oil & gas exploration, this means placing processing power into remote locations. Such an approach drives several cost-saving benefits. First, less network traffic is required because raw data no longer needs to be moved long distances, and this reduces network and communication expenses. Second, an even more significant cost benefit of edge computing is the increase in exploration systems uptime. 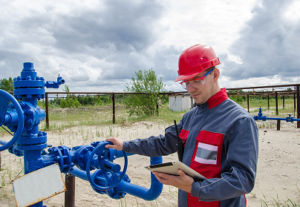 Greater edge computing power means that the data from a well can be analyzed immediately. That makes it possible to spot equipment difficulties sooner rather than later and to schedule a fix before unanticipated downtime occurs. Business interruption can cost up to a million dollars per hour depending upon the nature of the operation. A third benefit is higher productivity. The pumps that support exploration well operations, can leverage the computer technology to minimize energy consumption while maximizing output. In order to ensure efficient equipment operations, pumping requires near constant fine-tuning. While adjustments can be performed manually, it’s more cost effective to drive efficiency when smart sensors and computer control are deployed. To ensure fast reaction time and to avoid latency, it’s best to address local processing requirements with edge computers. What about drones? Compared to manned vehicles, unmanned aircraft are cheaper to buy, less expensive to operate, and can be used in situations deemed too dull, dirty or dangerous for people. Those are some of the reasons why consumer drone shipments are expected to triple over the next five years. Drones are used in oil & gas exploration to locate promising sub-surface pockets that contain hydrocarbons. More specifically, drones are being dispatched to conduct gravity, magnetic, topological, mapping and other surveys. They also are suited for surveillance or inspection of remote facilities, often performing their tasks at less cost than alternative methods. The growth of interest in drones means that these unmanned vehicles are drawing the interest of government regulators. Issues such as air traffic network control, licensing, and safety requirements have been – or are being – worked-out by regulatory jurisdictions around the world. Consequently, it will be possible to safely deploy drones in a wider variety of settings, including locations that are actively being explored. In the realm of IoT, drones should be thought of as flying sensor platforms. The data they gather is fed into the network and then into computing platforms. This information is digested and becomes part of the knowledge that determines the most promising sites to explore. If engaged in surveillance, drones provide insight into and pictures of areas that were previously inaccessible (or accessible only at a very high cost). Together drones and edge computing are helping to cut the cost of exploration. That’s important in the current business climate, where commodity prices are likely to remain so low for some time to come. 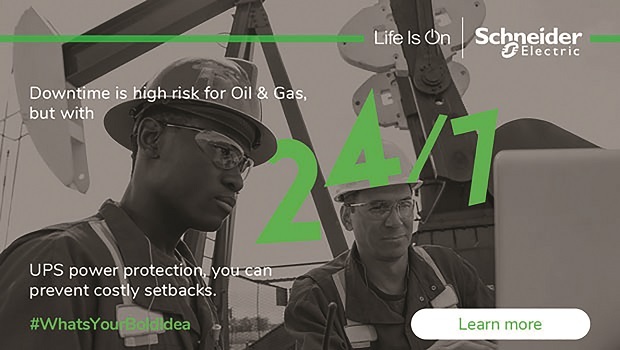 For more information on how drones and edge computing are transforming exploration practices, download our complimentary reference guide, “A Practical Guide to Achieving Oil & Gas Operational Efficiency through Digitization.” To learn more about how companies like Schneider Electric can help oil & gas companies cut their exploration costs, click here. Lastly, to access resources on how to keep your critical systems up and running, check out these approaches to maximize uptime and business continuity.